1923: Steve Fairbairn (on the left) and Herbert L. Holman. The top of the Grand Challenge Cup trophy can be seen at the bottom of the image. 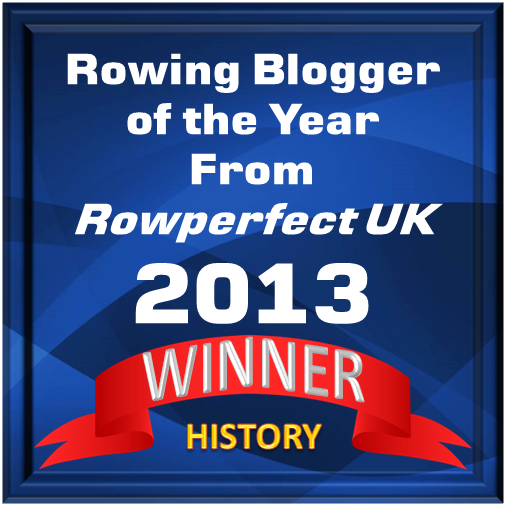 Courtesy of Thames RC. I have a special thing for footnotes* and endnotes – some Americans would probably say that I’m a sucker for these handy typography devices. This being said, I reckon that not everyone is fond of them, especially not if a writer is applying an ‘aggressive use’ of them. Then the text would be affected by, as the poet John Betjeman wrote, ‘foot and note disease’. We are rarely using footnotes in articles on HTBS, but we do occasionally publish what can be regarded as footnotes in the history of rowing, some small things moving in the outer circles of our sport’s history, for example HTBS articles on Bob Dylan, the Queen’s Guardsmen, a Postal Prankster, dogs, Graham Greene, Ernest Hemingway, etc. I’m afraid what I have to offer you readers today, is another one of those articles that has a loose connection to rowing – on the famous movie star who took her name after the oarsman Herbert L. Holman. The 22-year-old Holman was a member of Thames Rowing Club and was in the club eight that raced in the Grand Challenge Cup at Henley in 1922, a crew coached by Steve Fairnbairn. 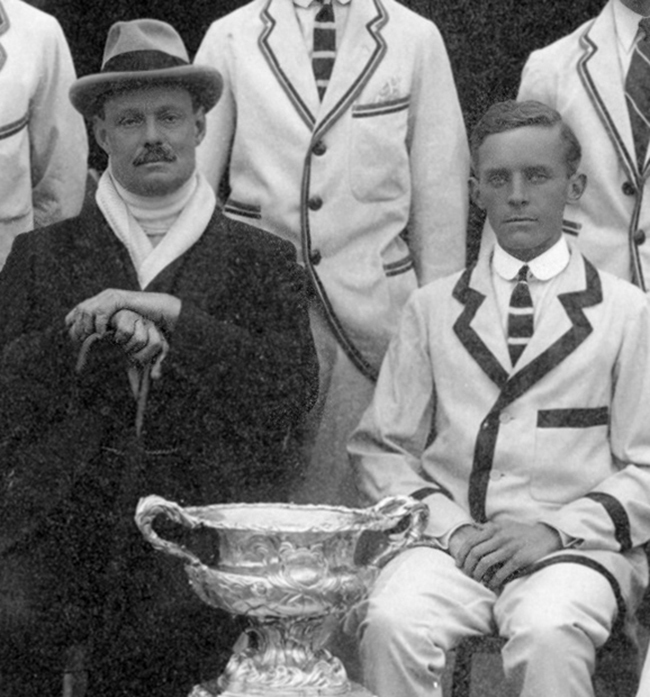 Fairbairn began to coach the Tideway club after the First World War, taking some young oarsmen under his wings in 1920. Thames RC reached the final in the Grand in 1922 but was beaten by Leander by a length. Then entered Dr Gilbert Bourne and his new boat design. Dr Bourne, Oxford oarsman in the beginning of the 1880s and later famous coach for the Dark Blues, had before the First World War experimented with ‘streamline’ boats. He studied how fish moved in the water and designed a new hull shape for an eight. In 1914, Bourne gave the boat to his old college, New College, which ungratefully put it away and did not use it. However, in 1921, New College dusted off the boat and gave it a try at Head of the River. Bourne modified the designed, and Oxford won the 1923 Boat Race in the boat, which had been built by ‘Bossie’ Phelps of Putney. Fairbairn had seen Oxford winning the Boat Race and promised Thames RC a similar boat. Steve Fairbairn had one of his big brothers, George, who was an Australian Senator, pay for the boat. Senator George was built and ready for the 1923 Henley Royal Regatta. In the Thames crew for the Grand Challenge Cup was at bow Edward ‘Cherub’ Chandler, 2 Reggie Bare, 3 Jack Beresford, Jnr., 4 Charles Rew, 5 Arthur ‘Bones’ Long, 6 Kenneth Wilson, 7 Herbert Holman and, at stroke, Steve’s son Ian and, as cox, John ‘Jack’ Godwin. Holman was the lightest of the oarsmen, at 9 st 11 lbs, only 1 st 11 lbs heavier than Godwin. Initially, Nougat Southgate was also a member of the eight but lost his three seat to Beresford, who, Geoffrey Page writes in his marvelous book Hear the Boat Sing, was ‘always quick to spot a good thing’. In the Grand, racing in Senator George, the Thames crew first beat Christ Church, Oxford, then Brasenose College, Oxford, then, in the final, winning over Pembroke College, Cambridge by a third of a length. This was Thames first win in the Grand since 1889. After Thames RC’s 1923 win of the Grand, many of the oarsmen in the crew continued to row and were in the Thames RC’s eight that placed fourth in the eights final at the Olympic Games in Paris in 1924. But not Herbert L. Holman. He took up law and became a barrister. At a ball in 1931, Holman, now 31, met and fell in love with the 18-year-old aspiring actress Vivian Mary Hartley, who was born in British India. 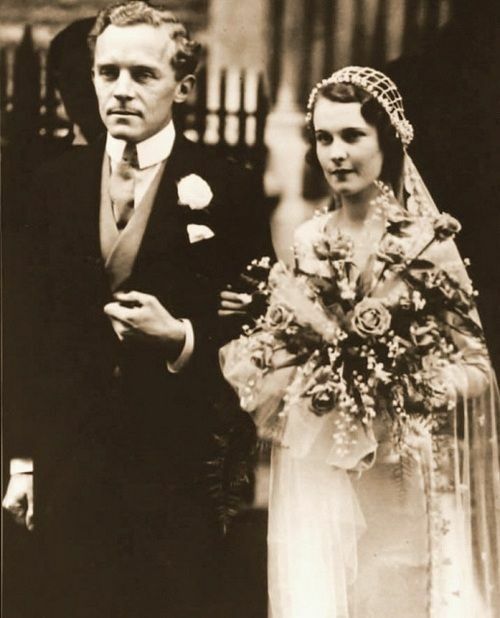 Holman was not happy with Vivian’s actress dreams, but married her a year later, on 20 December 1932. She soon began to study at the Royal Academy of Dramatic Art, RADA, in London. Ten months later, on 20 October 1933, Vivian gave birth to a daughter, Suzanne, who eventually also would become an actress. However, Vivian barely had time for her husband and their young daughter. Instead she threw herself into the British film industry to try to get roles. Vivian did fairly well: in a review John Betjeman, later to be appointed Poet Laureate, called her ‘the essence of English girlhood’. By the mid-1930s, she got some small parts, but first after her agent, John Gliddon, suggested that she should change her name – ‘Vivian Holman’ lacked glamour. 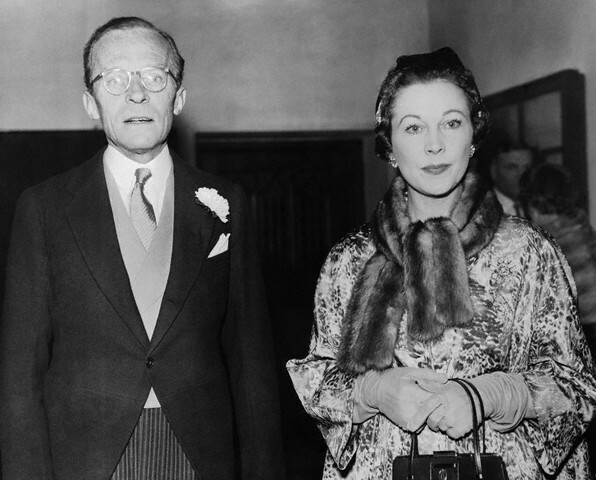 Eventually, Vivian decided to take her husband’s middle name, and she became Vivien Leigh. Of course, the rest is film history. Vivien Leigh met screen legend Laurence Olivier. She left Herbert Holman and Suzanne for Olivier (divorced Holman in 1940), got the starring role as Scarlett O’Hara in Gone With The Wind by beating nearly 1,500 other actresses for the part, won an Oscar for the role in 1939 – the first British actress to ever win an Oscar – and married Olivier in 1940. 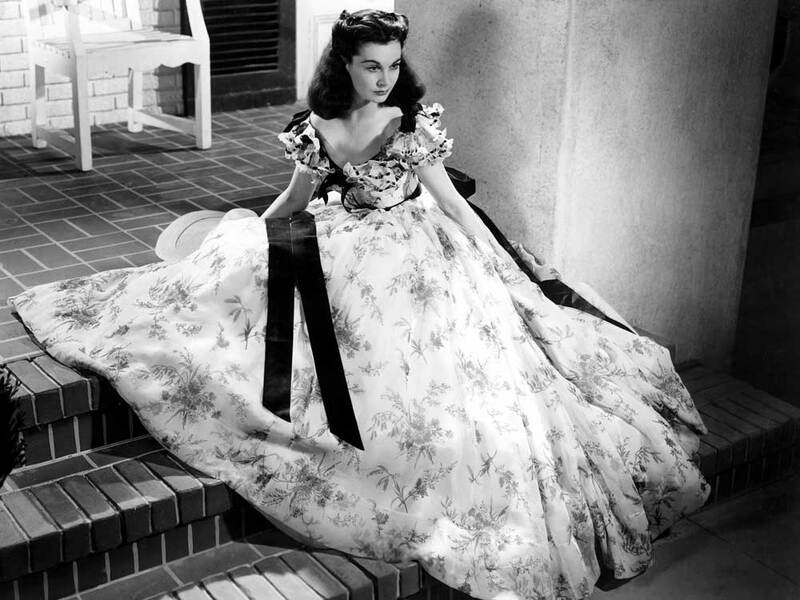 Vivien Leigh as Scarlett O’Hara in “Gone With The Wind”, the film that gave her an Oscar in 1939. From a rowing history point of view it is worth mentioning the (rowing) film A Yank at Oxford (1938) in which Leigh played Elsa Craddock. It was, however, Leigh’s friend Maureen O’Sullivan, who had the leading female role in this film, opposite Robert Taylor, the cocky American who rows for Oxford. Holman and Leigh at their daughter’s wedding in 1957. Later in life, Vivien Leigh would be marked by mental illness. As her situation grew worse, Olivier left her after 20 years of marriage in 1960. She had by then a relationship with actor Jack Merivale. During the 1960s, Leigh also spent time with her first husband, Herbert Holman. Leigh died in 1967, age 53. Holman died in 1982. *One can almost regard certain footnotes and endnotes as an art and a literary genre of its own, at least when they are written by a selected few authors. A brilliant writer of famed footnotes was the English historian A.J.P. Taylor, known for his humour and irony in his works. In a footnote in volume 15 of the Oxford History of England, he called Sir Winston Churchill, ‘the savior of his country’. In his English History 1914–1945, Taylor wrote in a footnote on King George V, ‘his trousers were creased at the sides not front and back’. As an aside, the bow of the ‘Senator George’ is still on display in the TRC bar (along with the bow of ‘Bruce’, the coxless four used by the Great Britain crew at the 1932 Olympic regatta at Long Beach). I believe I’m right that the ‘Senator George’ was eventually sold by TRC to one of the Chiswick clubs and was much later destroyed in a boathouse fire. The bow was salvaged from the embers and returned to Thames.